Graham is back with another three-hour helping of music, chat and celebrity conversation, with former Doctor Who supremo Russell T Davies and theatre impresario Bill Kenwright. This week, TV writer and producer Russell T Davies had a moan about hot-desking, promised to return to the world of Queer As Folk and tried to reassure us that sci-fi drama Torchwood would be back. 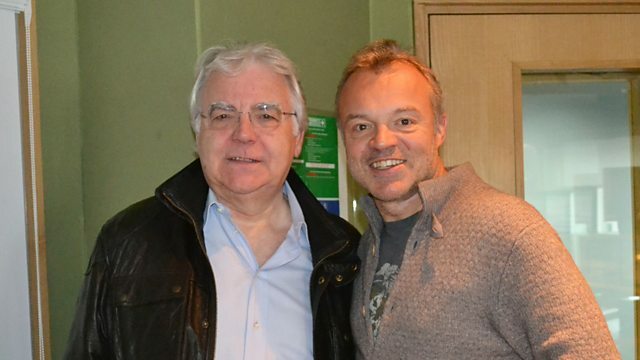 Then, theatrical impresario Bill Kenwright told Graham he hated him - in a nice way - and admitted he'd sell Everton FC if someone made him a good offer. Maria McErlane did her best to help two more listeners in need - but Mr. Norton wasn't having any of it, and then Jane Linger from Swanage upset many by explaining the tale in the tune of Athlete's song Wires. Oh, and Graham was very impressed when today's programme featured the word consummate. Doesn't take much eh? The Very Best Of The Osmonds. Any Way You Like It (Expanded Edition).